In our house, we LOVE Laura Ingalls Wilder. We have the set of all eight of her books, and Cuddle Bug wants me to read them to her every night for her bedtime story. The kids like watching the Little House on the Prairie reruns on television. 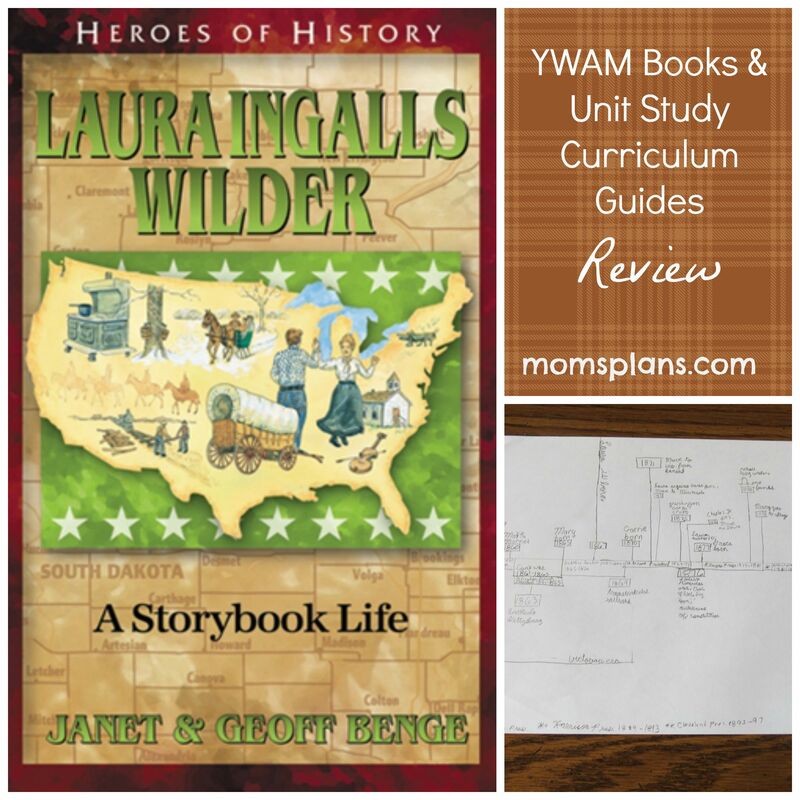 So, when we were given the opportunity to review a book by YWAM Publishing, we chose the Heroes of History book, Laura Ingalls Wilder: A Storybook Life. We also received the Unit Study Curriculum Guide CD. They are phasing out of the study guide on CD, however, and moving to digital download. YWAM Publishing, a non-profit company, has many, many titles available. 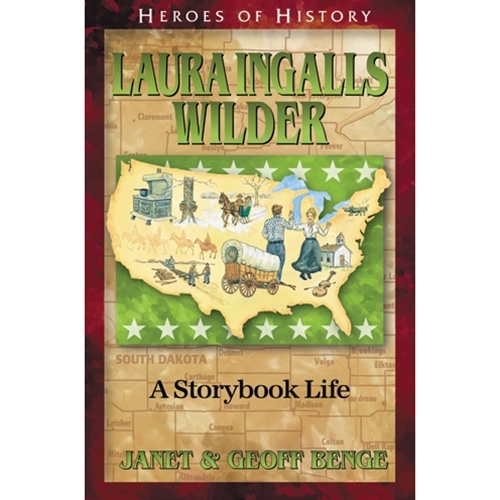 Laura Ingalls Wilder: A Storybook Life is part of the Heroes of History selection. There are 26 titles in the Heroes of History series. Another popular selection is the Christian Heroes: Then and Now series that include 42 titles including biographies of many greats like C.S. Lewis, Corrie ten Boom, and Dietrich Bonhoeffer, and many others. Even better, a portion of every YWAM book that you purchase goes toward helping people in China, India, Brazil, and a number of other countries. The book we received had 15 chapters and was 193 pages long, so Bookworm and I read a chapter aloud every day during the week days. We finished the book in three weeks on this schedule. Then, we delved into the unit study curriculum guide, and boy was I impressed! There were so many activities to choose from. In the end, I choose two in-depth projects for Bookworm based on his interests. 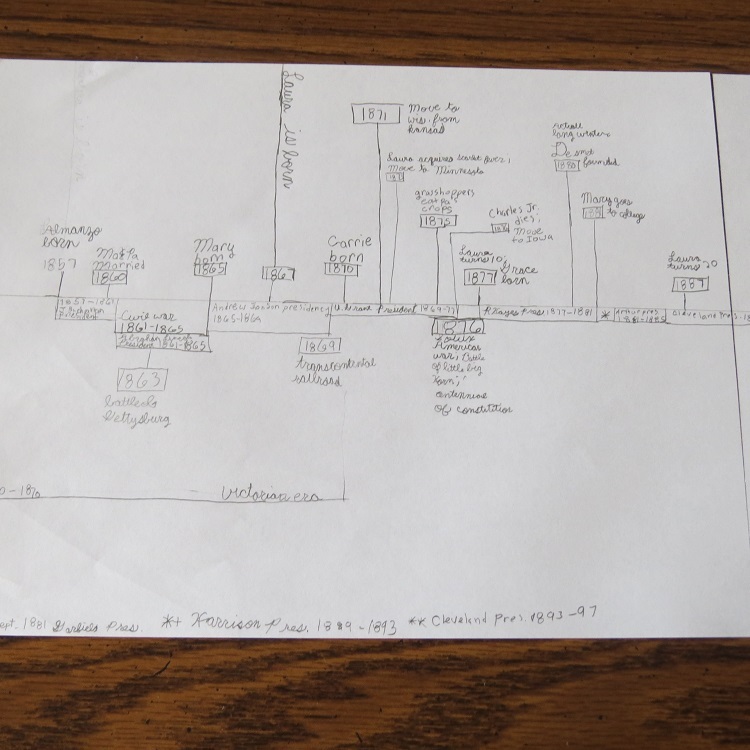 The first third of Laura Ingalls Wilder’s life timeline. The first was to make a timeline of Laura’s life and how the events in her life paralleled with other U.S. history events. Bookworm worked on this for several days and when he was done, he had a much better understanding of the events that happened throughout Laura’s life as well as when they happened in Laura’s life. The second project was to have him write a researched paper about the grasshopper plagues that affected Minnesota in the 1870s. Bookworm really enjoyed this and included gross facts like the state of Minnesota required all able-bodied men to squish the grasshopper eggs one out of five days a week for five weeks. Blech! Bookworm really enjoyed this assignment and wrote a 3 page handwritten paper about it. Laura Ingalls Wilder: A Storybook Life was the second YWAM book Bookworm has read. The first one was Adoniram Judson: Bound for Burma. He enjoyed both of them and thought they were both well-researched and written. I agree. related books, movies, documentaries, and National Geographic articles who would like to explore the topic in more detail. There was nothing that I disliked about this curriculum. In fact, I plan to buy a few more titles for Bookworm to supplement his history. These books, combined with the unit study curriculum, are powerful education tools.